Home>News of Construction and Building > Are faltering oil companies looking to invest in renewable energies? Are faltering oil companies looking to invest in renewable energies? Low crude oil prices have for some time now been seen as a barrier to the progression of renewable energies, but are times beginning to change? Due to the faltering and unreliable market of crude oil, with prices continuing to plummet, companies such as Gulf Island Fabrication inc. are beginning to venture into the industries of renewable energies and in particular, off-shore wind farms, in a bid to prepare for a clean energy future. Gulf Fabrication has long been renowned for building enormous structures out at sea, in a bid to extract oils and natural gases from the sea-bed. However, as this industry begins to run scarce of available resource and in the wake of international demands to be more environmentally efficient, Gulf fabrication have begun venturing into the energy source of wind. Gulf Fabrication built all five of the turbine foundations for what is going to be the first offshore wind farm in the US, a farm that is expected to begin operations in November. 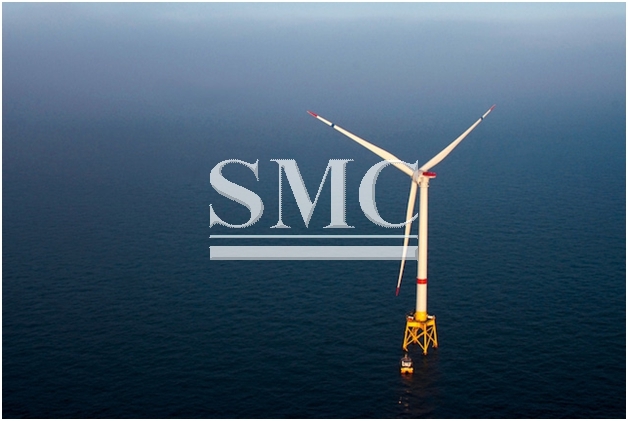 Oil and gas services companies worked on almost every facet of Deepwater Wind LLC’s 30-megawatt project in Rhode Island, supplying engineers, deckhands, construction vessels and decades of expertise building massive structures at sea. The mega turbines are 600-feet (183 meters) tall and they embody the global progression in clean energy, in addition to clearly presenting the opportunities available in the industry to fossil fuel based companies. Gulf Fabrication and a number of its industry competitors have said that the nascent industry provides an abundance of opportunities to find new revenue sources, in the midst of a hugely unreliable oil market. “We see offshore wind as part of our future going forward,” said Roy P. Francis, senior vice president of business development at Houston-based Gulf Island, which has fabricated components for hundreds of oil rigs. “We chased this job for seven years.” Deepwater’s next goal is going to be a 90-megawatt wind farm just off Long Island and it will have the capability to power 50’000 homes. New York is one of the leading states in America for plans in off-shore wind farms and it governor Andrew Cuomo has identified plans for 50% of the state to be powered by renewable sources by 2030. Deepwater have regularly stated their appreciation for the world-class brought to their developments by sea-based oil experts and it is a collaboration that we can expect to see more of, as renewable energies continue to thrive at the expense of fossil fuels. Keep going America; you need to catch up the off-shore wind farm industry in Europe.